Not a lot to comment on this recipe. Extremely quick in preparation. Simply delicious. Perfect as desert in the summer time (actually any time). Just try it out. 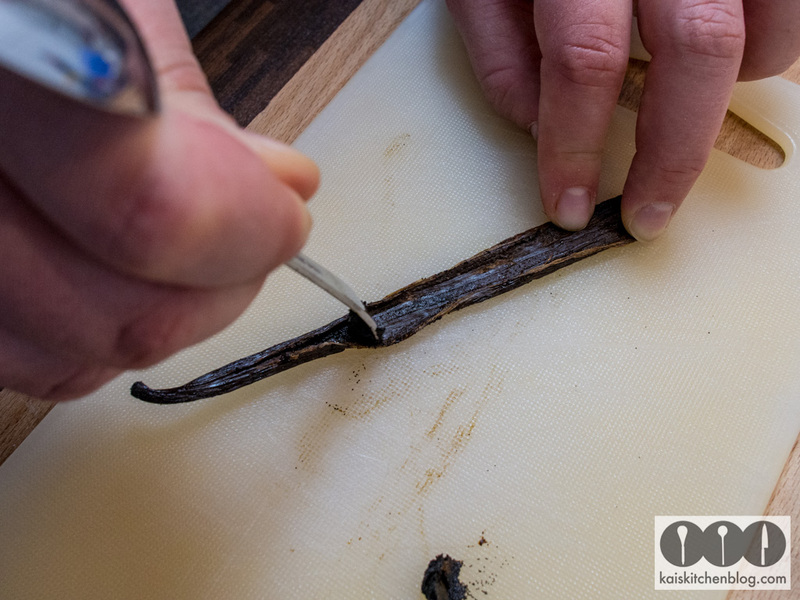 Slice the vanilla beans at length and scrape out the pulp. Pour it in a big bowl. 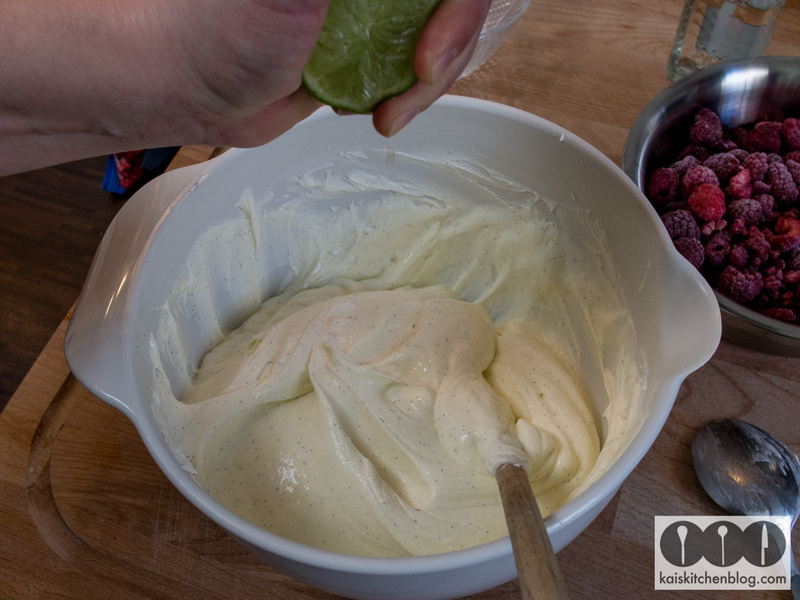 Add the mascarpone, yoghurt, curd and sugar and stir thoroughly until you have a smooth and homogenous mass. Season to taste with the juice of the lime and the strawberry liquor. 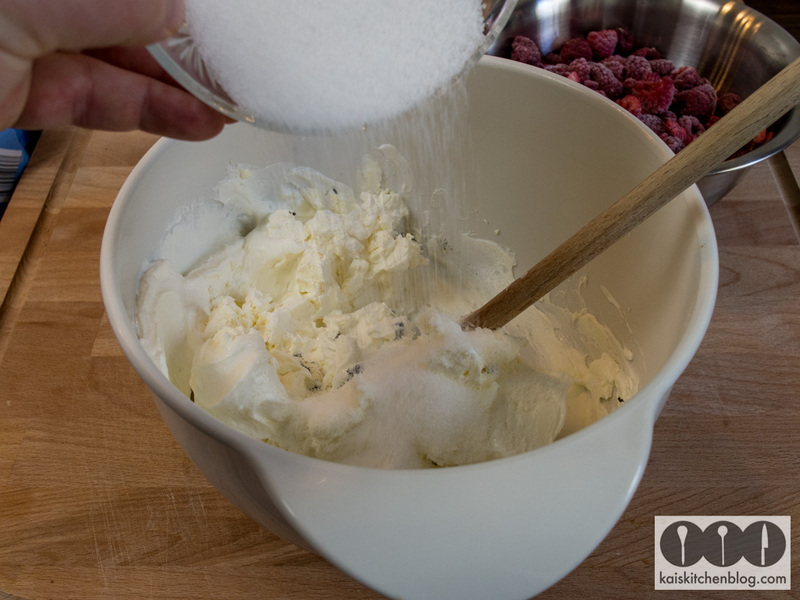 Put the strawberries is a small bowl and use a stirring staff to create a fine mesh. 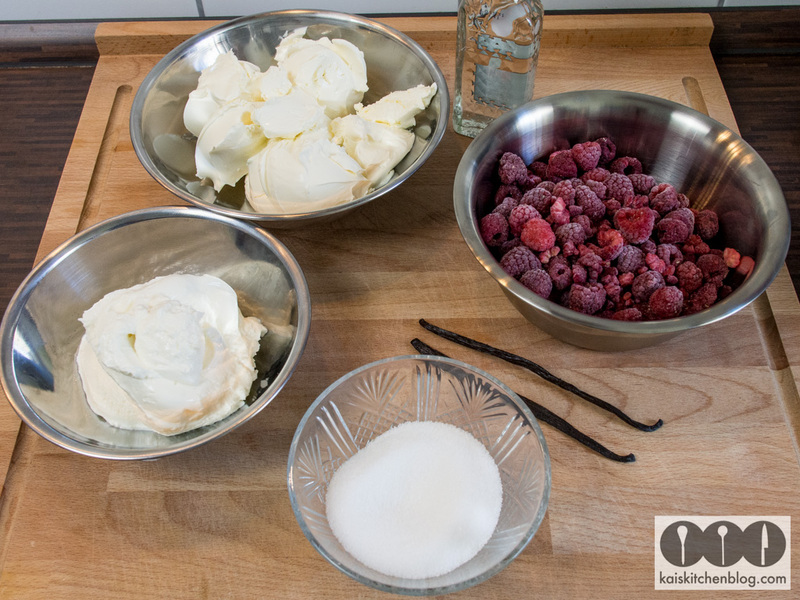 Then place the mascarpone mass and the strawberry mesh alternately in glasses. 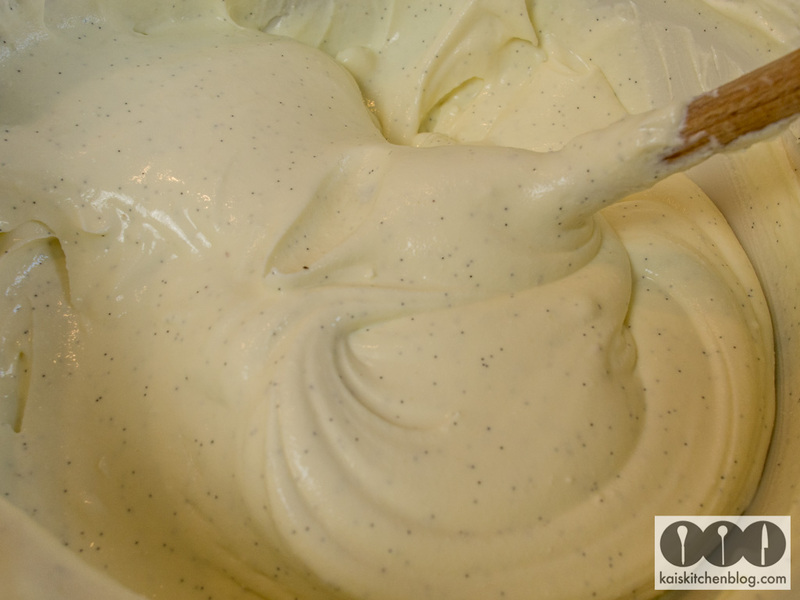 Use fine grated chocolate for decoration. 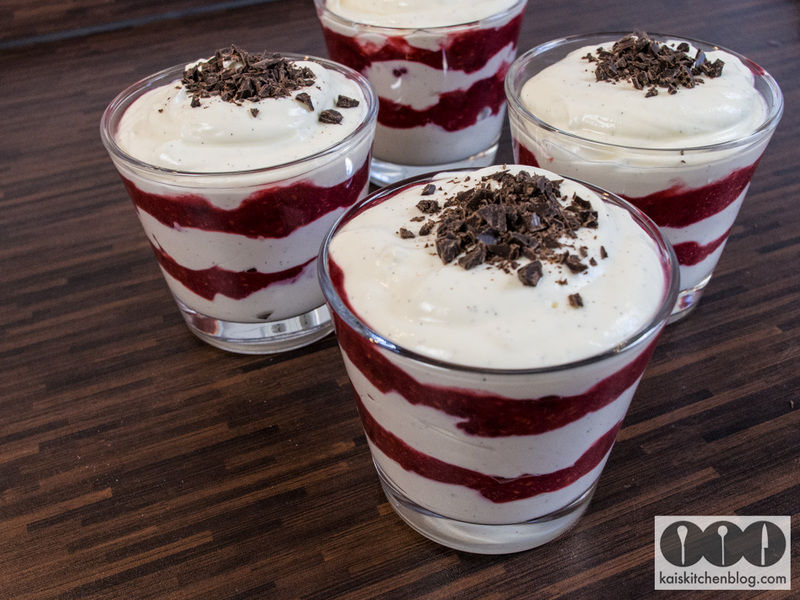 Dieser Beitrag wurde unter Deserts, English, Fruit, Quickly done, Recipes, Vegetarian abgelegt und mit Himbeeren, Kalte Küche, Mascarpone, Nachtisch, schnell gemacht verschlagwortet. Setze ein Lesezeichen auf den Permalink.